We love seeing people share their Napa experience with us on Instagram! 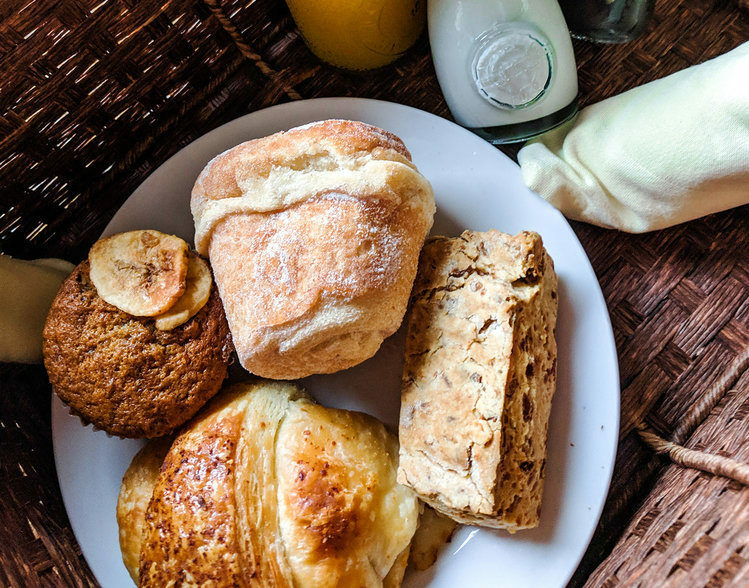 From the food to the wine, spas to outdoor activities, it is always nice to see how visitors and locals alike share their love for Napa. 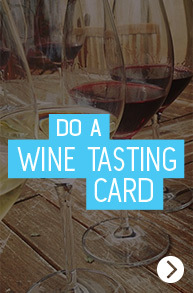 Let’s take a look at how some Instagrammers captured their experiences in Napa! We cannot get enough of this aerial image from @HejDoll! We think it captures Napa perfectly as the sun kisses the tops of the buildings. 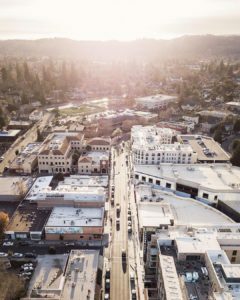 We also get a birds-eye view of the newest addition to the city, First Street Napa. 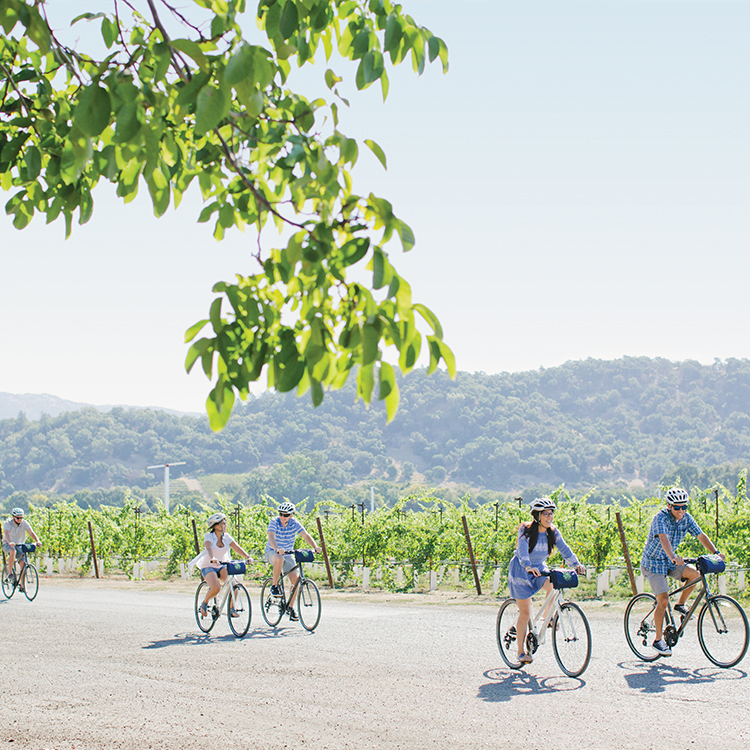 Napa is more than just vines and wine! It’s got character and loads of art. @Traveling9to5er captured this shot of “Solar Flare” located along the Napa River. 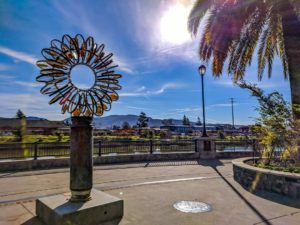 It’s part of the Napa ARTwalk, a great way to explore Downtown Napa and take in local artists creations. Be sure to check out the ARTwalk next time you are in town. 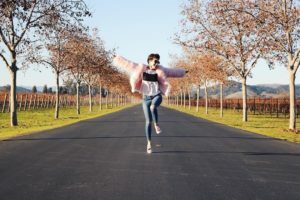 There is no better place to dance through a vineyard than in Napa. @OliaModa looks like springtime perfection with her pink cotton candy jacket. It is just the right pop of color to go with the vineyard backdrop. Fly away to Napa – or soar above the clouds in a hot air balloon! 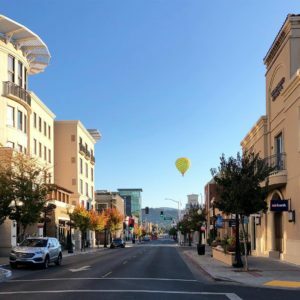 @MyPourDecisions captured this picturesque shot of a hot air balloon delicately floating over Downtown Napa. A hot air balloon ride is definitely a must-do the next time you are in Napa! Share your Instagram images of Napa with us by tagging @downtownnapa or using the hashtag #DoNapa. Who knows, you may just see your Instagram image featured on our page!